Understanding that a database will allow multiple simultaneous users in an office, business, group or community to add, edit and view a common collection of information, the next task is to understand how this might be set up. 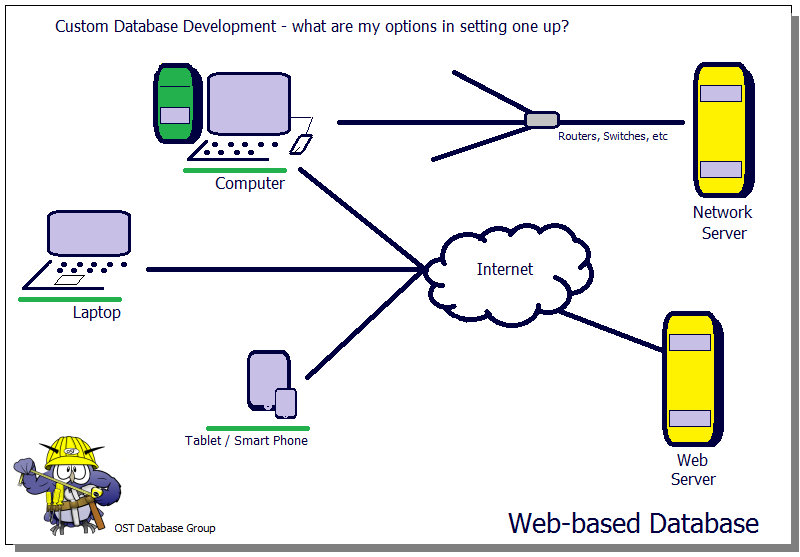 This download will introduce you to two common parts of a database (software) system. It will then go on to provide some background on how these two parts might be implemented to allow you and potentially your team, group or community to interact with the database and the information it contains. Note: this is not an exhaustive listing of potential options. Please contact us so we might elaborate further on your specific needs.